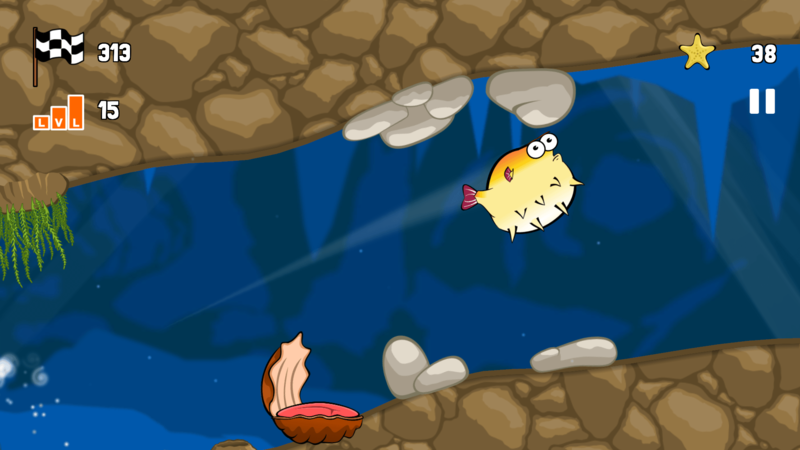 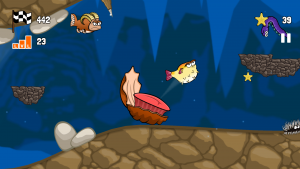 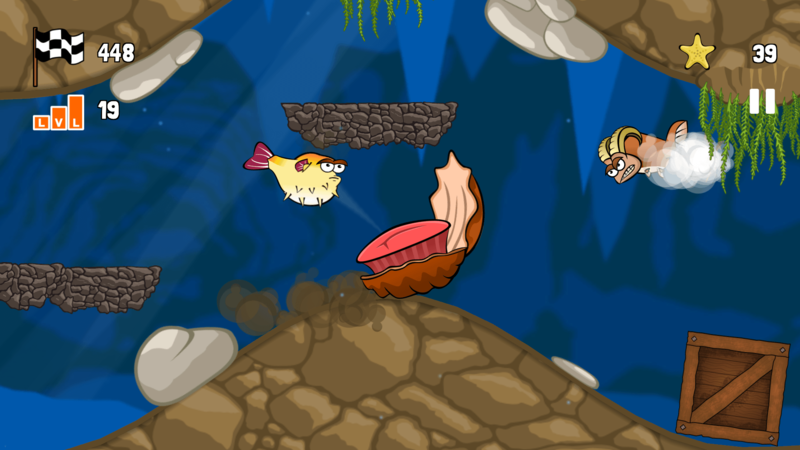 “Blowy Fish” is an endless 2D sidescrolling game in which you play golf with a helpless blowfish. 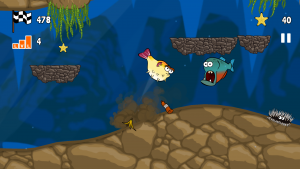 Said fish must be catapulted across a randomly generated landscape that bears increasingly diffcult enemies and obstacles. 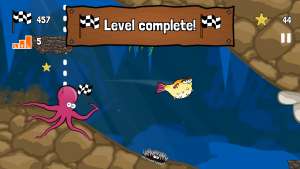 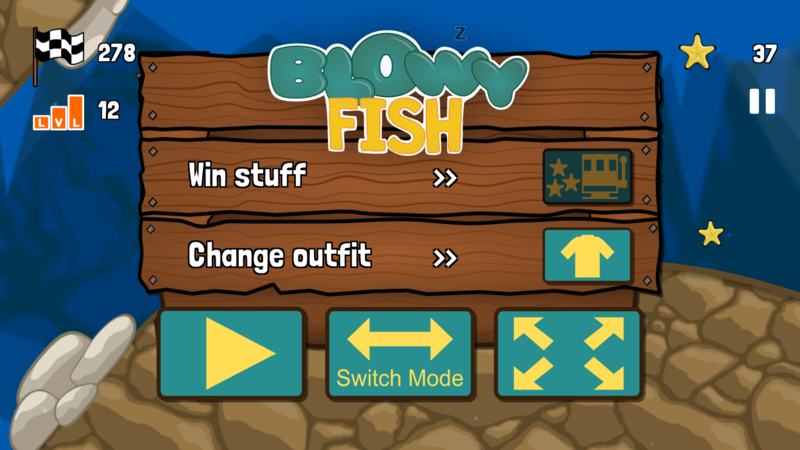 Other than most “endless”-style games, “Blowy Fish” features a level mode with checkpoints so the game can actually be beaten for that sweet feeling of accomplishment. 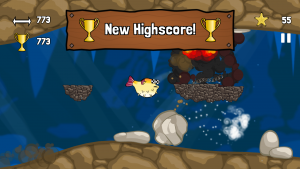 A real “endless”-mode with high scores is still included as well. 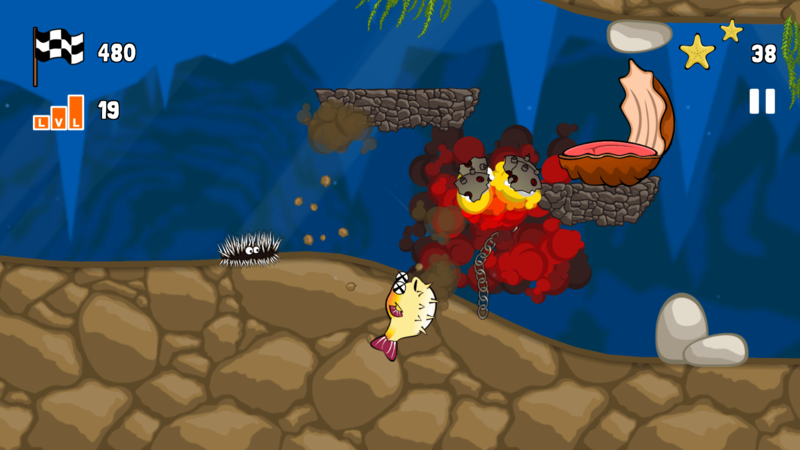 Players can collect starfish during their runs which can be exchanged for cosmetic items to beautify the blowfish. Items can be combined, and no one will judge you for creating a suit-wearing blowfish sporting a mohawk with hipster glasses. 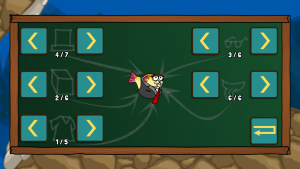 The game will be released on Android and various Web platforms on the first of June 2015. 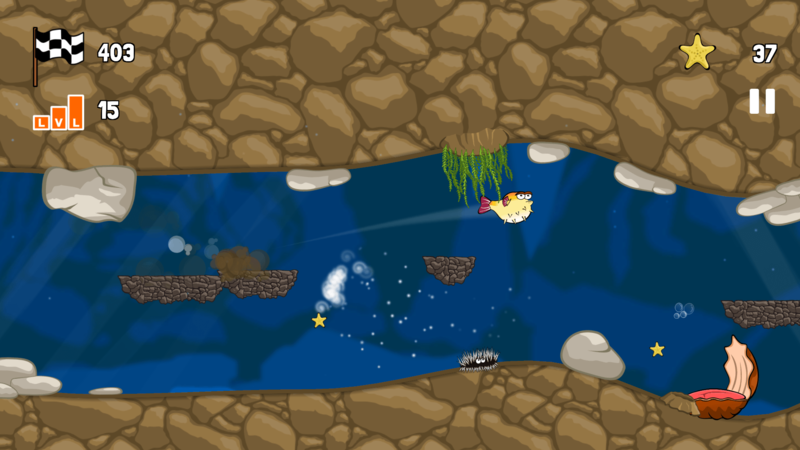 The game will be free and contains no In-App-purchases. 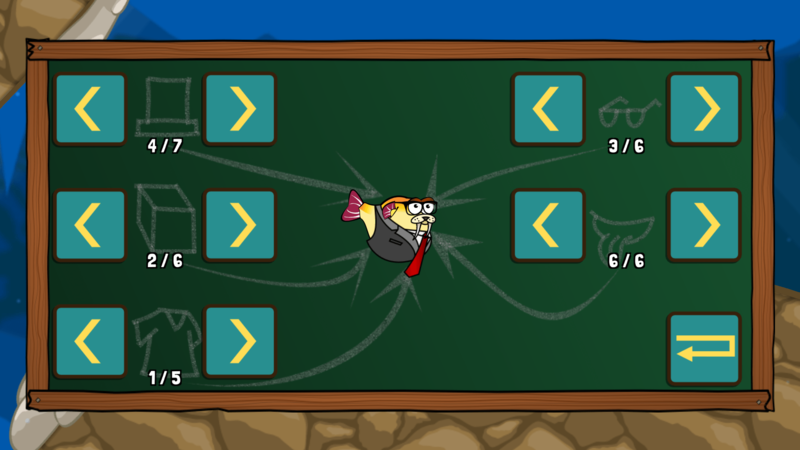 The Android version features entirely optional video ads which will pay you out some extra starfish in case you decide to watch them. As soon as the game is released (1st of June), I will post another update. You will be able to acquire Blowy Fish on the platform of your choice via the Blowy Fish minisite by then. 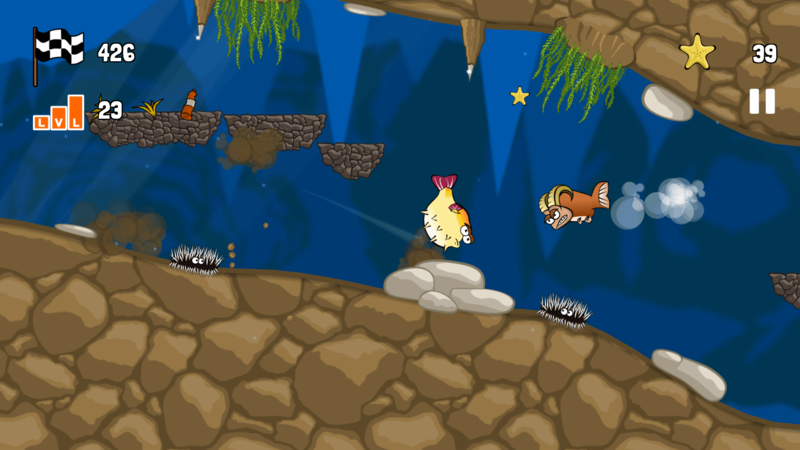 Here is a trailer of the game and some new screenshots, enjoy!